Company Drug Testing: What Causes a False Positive Result? Typically, drug testing involves the use of a urine sample, but other forms of testing such as the use of hair follicles and saliva samples are continuing to gain momentum and increase in popularity. In extreme instances such as vehicular accidents and cases of assault or workplace injury, authorities may, and often do, require the testing of a blood sample. According to statistics, drug tests producing a false positive result only occurs in approximately 5 to 10 percent of all tests. However, drug tests resulting in a false-negative result occurs about in 10 to 15 percent of all tests. While false positive results are not common, there are three possible causes of a false positive result from urine sample testing. The presence of prescription drugs in a person’s system may be one of the most common reasons for a false positive test result. There are many different prescription medications that can lead to a “false positive” reading. However, the main problem is that many of these medications have a very high potential for abuse and, as such, are a target of most forms of drug testing. Should a person who legally takes one or more of these medications show a positive test result, the results themselves are quite accurate. But, upon presentation of a valid prescription for these medications, the lab will mark the test results as showing a “false” positive, as they are legally allowed to have those prescribed drugs in their system and cannot be penalized. However, if a valid prescription is not available, the lab must assume the positive result is accurate and the person is taking the medications illegally. In this case, the lab must report these kinds of facts to the person’s employer and the authorities. Legally administered drugs include those administered by the person’s doctor or other medical professionals before, during, or after surgery or during an office visit. The list of these drugs is exhaustive, and may include strong drugs such as morphine (used for pain control) and many other prescription pain killers. Many administered drugs are also available by prescription and have a high potential for abuse. Many highly addictive drugs like these are frequently the target of urine testing. If the person undergoing a drug test is currently taking one of these medications or has had them administered by a medical professional and turns up with a positive result, they must be able to provide documentation showing the drugs were legally administered. Provided the person can show proof of prescription, the lab tech will record the results as a “false” positive and report to the employer with a negative reading. But here again, if the proper medical documentation is not available, the report will show a “true” positive and will be sent to the person’s employer. Though not overly common, there are occasions when a drug test identifies certain normal, legal substances as one of the various targeted drugs during a urine test. Experts in the field refer to these materials as being “cross-reactive.” Substances, such as these, bear an extremely close resemblance to drugs that are a target of the testing process, which should not be present. These cross-reactive chemicals come in a variety of forms such as over-the-counter medications and certain food items, such as poppy seeds that give a false-positive result as they are very close in composition to opioids. Until recently, this type of false-positive was relatively common, but due to recent advances in testing processes, the number of false-positive results from cross-reactive substances have become far less common. Luckily, today’s testing standards include much higher cutoff concentrations that are high enough not to register occasional usage or food consumption. Typically, when someone receives a positive result today, it means the person has abuse level consumption issues and needs to seek professional help. Most people tend to think that false-positive drug test results are more common than they actually are. Statistically, there are only a few instances where false-positives are actually recorded, and false negatives are actually much more common. For example, standard drug tests have a high rate of false-negative results for oxycodone drugs such as OxyContin, Percolone, and Roxicodone. 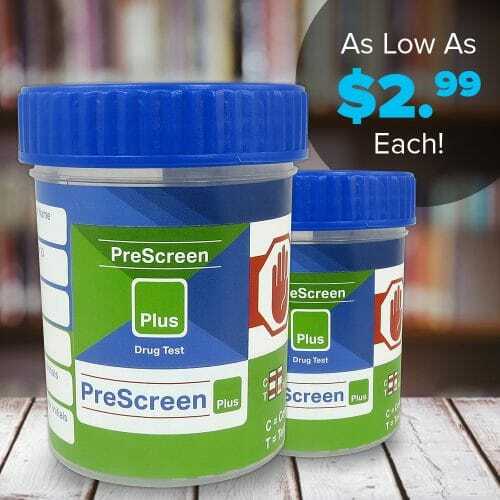 These drugs are known to have a very high abuse rate, and in many cases, unfortunately, the person whose urine is undergoing testing will not show a positive result. One study showed that at least 88 percent of doctors here in the U.S. had no idea they needed to order a very specific drug screening test used specifically just to detect oxycodone-based drugs. At the same time, it seems that there are no federal guidelines in place for setting exact thresholds with regards to what is or is not a positive test result. Should You Be Concerned about a False-Positive Drug Test Result? If you are taking prescription medications or have recently undergone a medical procedure such as surgery that required the administration of medications and can provide the appropriate documentation, clearly, you have nothing to worry about. Having your prescription information readily available is always a best practice. At the same time, everyone should worry about the possibility of cross-reactants causing a false-positive test result. The reason for this is the use of products that cause this type of false-positive result can be very hard to substantiate, as there is no documentation of your poppy seed consumption. 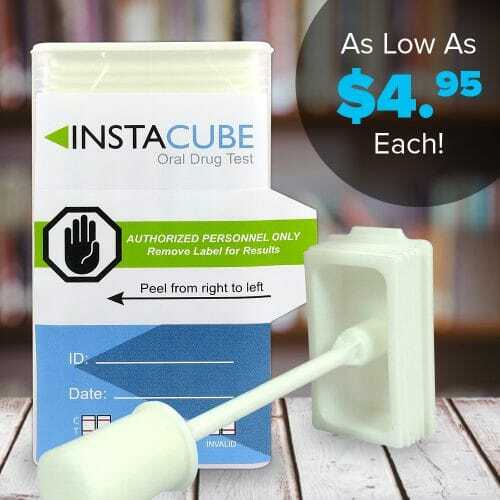 To avoid the possibility of a false-positive result, a person may want to avoid these products if they know a drug test is imminent. First, remain calm when receiving your drug test results. If your drug test results come back positive, your HR department will contact you. Should the results show the use of any type of prescription medication, the HR officer will require you to provide the proper documentation that proves you are taking this medication under the advisement of your medical provider. But what if your test comes back positive for an illicit drug or you cannot provide the right documentation, and you know you are not taking any form of illegal drug? It’s best to consider the possibility that your positive results are due to a cross-reactant. In cases like this, you must politely insist the results are wrong and request additional testing. Be sure to mention the possibility of a cross-reactive substance, so your HR department can schedule a follow-up test designed specifically to test for the suspected drug rather than just the drug category. While workplace drug testing has been commonplace since the 1980s, it is your job as an employee to ensure that if you receive a false-positive result, you fight for your rights. The incidences of false-positive results are almost negligible, but if your test comes back positive, you are the only one who knows what you have or have not been consuming in your free time. You are your best and only advocate when it comes to drug testing. So, take the time to keep or record any documentation regarding prescription or administered medications, and think carefully about what you eat or drink in the days, weeks, and months before testing. These are the best ways to avoid losing your job over a false-positive drug test result.